We are very proud to have been presented with a national award which recognises schools where children of all abilities achieve their potential to “be the best they can be”. 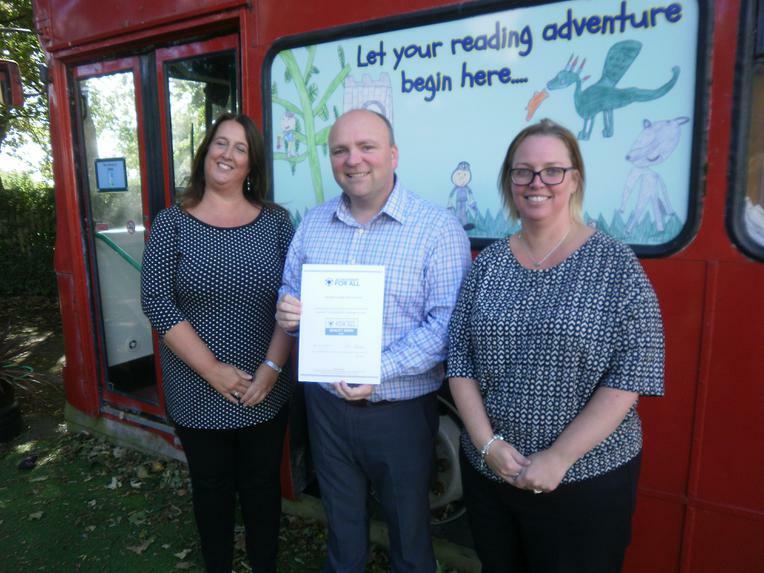 Developed by leading educational charity Achievement for All (AfA), the Quality Mark Award recognises the work being done at Boughton Leigh Infant School to improve progress in reading, writing and maths for all pupils, particularly those with Special Educational Needs and/or disabilities. The school has been working in partnership with AfA since 2014, following a programme to help improve educational outcomes for the lowest achieving 20 per cent of pupils. This includes working with parents and carers to support their children’s learning, arranging after school homework clubs for pupils and parents to attend together and holding special parent workshops. Schools are assessed for the Quality Mark Award during the second year of the AfA programme. The award focuses on a variety of categories including strategic planning, quality of teaching and learning, effective uses of interventions, pupil progress and community relationships. “We are thrilled to present Boughton Leigh Infant School with this much deserved award. They have shown a high quality of leadership and teamwork, and most importantly, the target groups have made more than expected progress and are closing the gap with their peers. Our programmes are designed to be a whole school improvement tool and Boughton Leigh Infant School has shown a continued commitment and success in improving outcomes for their children."